How to Survive Camping with Kids! 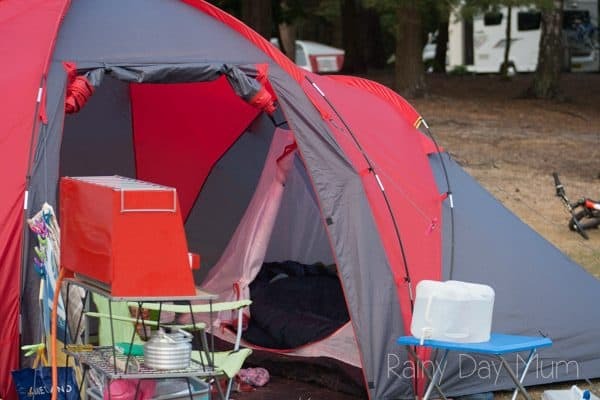 Home » Travel » Camping » How to Survive Camping with Kids! I’ve always loved camping ever since I was a child. Especially when I was young because it gave us a lot more freedom than we ever got at home. It also meant spending quality time together as a family, something that even now I value when I get to spend time with my parents and I value even more when I spend time with the kids. 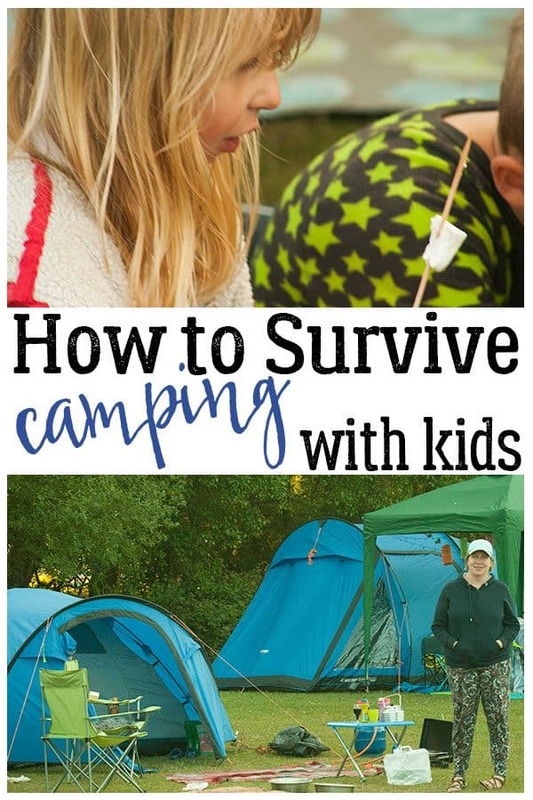 However, camping with kids is a vastly different experience than camping as a child or even camping as an adult on your own so I’ve got some top tips on How to Survive Camping with Kids! 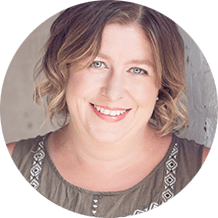 Read along as you discover how our journey has changed over the last 2 years and what our top tips are now that we’ve been doing it a while. 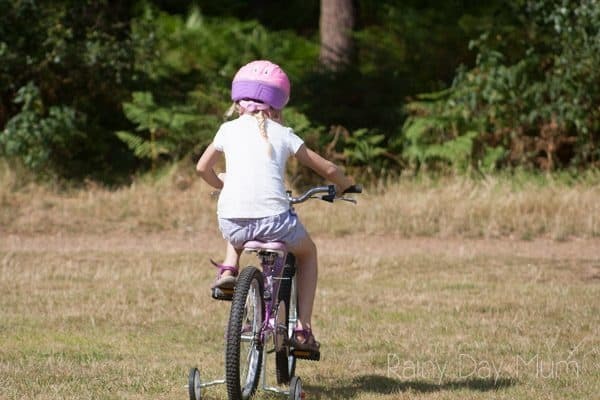 We first took our kids away camping two years ago this summer when we headed off down to The New Forest to try out camping in the forest. The experience of that holiday had us hooked and we’ve since camped for a much longer period of time and enjoyed it even more. 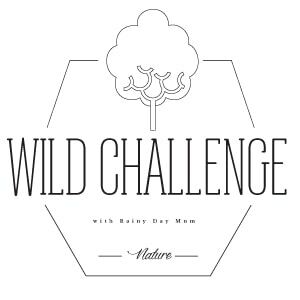 This year we already have 3 camping trips planned plus we will be taking part in the BIG WILD SLEEPOUT with the RSPB as part of our Go Wild Family Challenge. 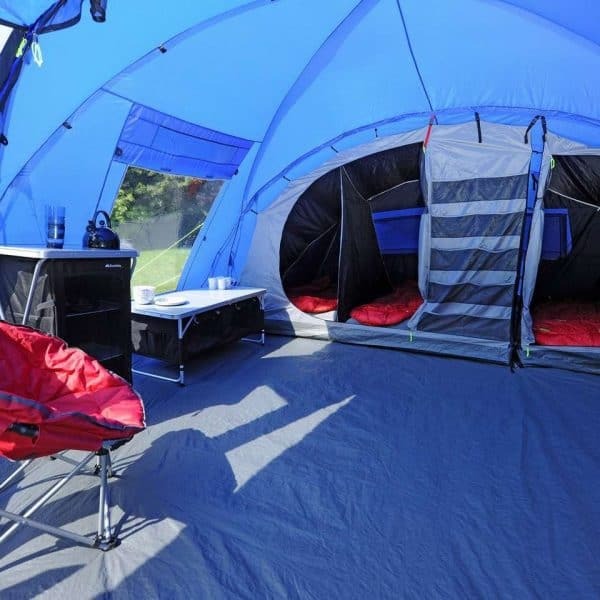 But with that has come some ways of making it easier and from our essential camping list which is ideal for first-time campers we’ve changed it up a bit as we become more comfortable doing it especially my husband who had camped once before in his 20’s so it’s a VERY new experience for him. So what’s the biggest change been – well for us it’s switching from a very minimalistic camping trip – let’s be honest that first tent my then 4-year-old couldn’t stand up in and it was a little squashed with 2 adults, 2 kids, and a greyhound….. to something that we can be inside or outside in and not cramped at all. It’s still basic – we don’t have anything with us that needs electricity so we don’t hook up – which saves us a little on the camping, we aren’t ones for fancy lights etc…. instead, it’s basic, down to earth and lots of fun. It’s our Home From Home but very simple. Last camping trip was for a week and a bit at Sandringham Campsite in North Norfolk – it was fantastic, yes it rained and I did cook breakfast under an umbrella whilst everyone sat in the tent and laughed at me. But, it was the set up of our tent, the location and the freedom that the children had. 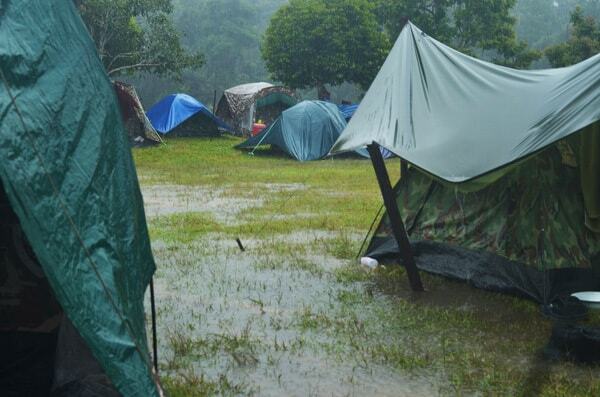 On the day that we stayed on site – we saw the children for breakfast, snacks, lunch and dinner back at the tent the rest of the time, they played within a designated area with friends that they had made on the campsite. The way that they played was just like those memories I had of camping with my family as a child and I know something that the kids will never forget. Discover how camping is good for your soul and helps you release your inner child too. So what are our Top Tips on How to Survive Camping with Kids! 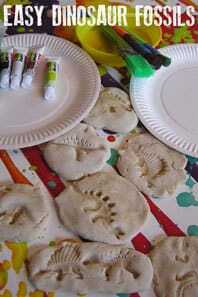 Join our Weekend Activities Newsletter! We’re now on our 3rd tent, each year as we have got more comfortable camping with the kids we have increased the size. The first time which we still use is ideal for things like 1 night camping and for the Big Wild Sleepout this summer we will use it. – Yes, our tent is that little blue one with the green chair in front you can see how small it actually is… but it was a great investment for us when we started out as neither my husband nor I were sure that camping with the kids would be for us. Last year we enlarged our tent and brought one with rooms inside – it meant more space, although with 1 dog, 2 kids, and 2 adults plus, bikes, beach equipment, cooking, clothes etc…. it was a little cramped and it did mean making sure that every day I organised the tent and had it tidy so that things didn’t go missing. You’ll also notice a couple of other changes – we got a kitchen unit so that the stove was raised up off the ground, the little blue table became solely a coffee table and we got a table with seats for us to sit and eat together instead of sitting on the floor. This year – we’ve got room to stand up in, sit down, sleep comfortably, a place for the dog to stay dry if it rains and be comfortable without having to bend over. This Eurohike Bowfell 600 is ideal and as it sleeps up to 6 we have plenty of space to chill especially if the weather isn’t the greatest. This latest tent means that we can head away for 2 weeks and be comfortable no matter what the weather is and enjoy that quality family time together. Yes, we’ve been squashed in the car and our car isn’t tiny by any means. But one investment that we made was a roof box so that we could put some of the camping gear out of the kids and dog’s way and make it easy to travel. Although we camp light we still bring with us things like a cool box, chairs, air mattress, cooking essentials, stove, table etc… and that all adds up. Especially if you are traveling a distance make sure that the journey there and back is comfortable for ALL the family. I would love to spend my days exploring and learning about the history of an area but my kids well they like that for a day or two but they really want wild areas – they want to play, run, swim, jump and have fun. So it’s really finding a balance with everything. Places like Sandringham and the New Forest offer all of those things but there are many more areas in the UK and further afield that do as well. Now I don’t mean making sure every peg is in place perfectly, the guy ropes are tight because I’m assuming that you will have that under control anyhow. What I’m talking about is where you actually put your tent on the campsite. Not directly under trees (cleaning bird poo off of a tent is not fun!) 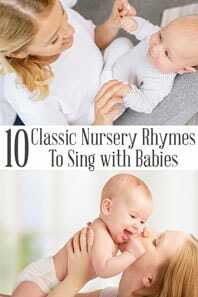 – but if you can within the shade cast by the trees for at least some part of the day – especially in the early or late camping season as this will warm up the tent a bit. It’s a fact it rains sometimes if you are lucky it will just be overnight – but that’s not always the case so make sure you research the area and have plans for rain days. 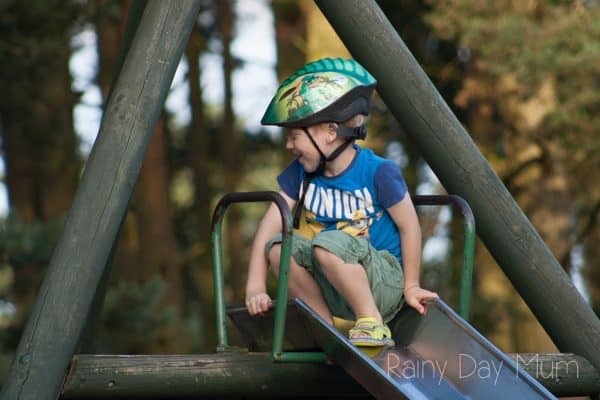 Check out local attractions, stately homes that are open to the public or even dress up in wet weather gear and head out… but make sure you dry the gear well afterwards because mould in a tent is horrid. Accidents happen – make sure that you pack a first aid kit and it’s also worth knowing where the nearest hospital is or walk in centre. A little bit of research before you head out camping could save you time in a panic mode if an accident does happen. At least you are prepared. Do you associate food with events, memories well camping is the same. From my childhood – it was crisps that had a packet of flavour that you shook onto them. We only ever had them camping I remember when they discontinued them it was so different that first camping trip without them to eat with our lunch. 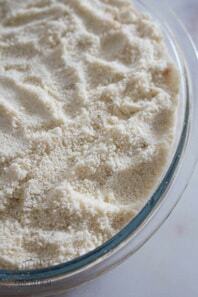 For my kids, it will probably be something like having beans on toast for breakfast or chocolate bars after lunch. I will have to see what evolves and becomes the memory. Although we still pack healthy food, it’s those special treats for camping that the kids love the best. 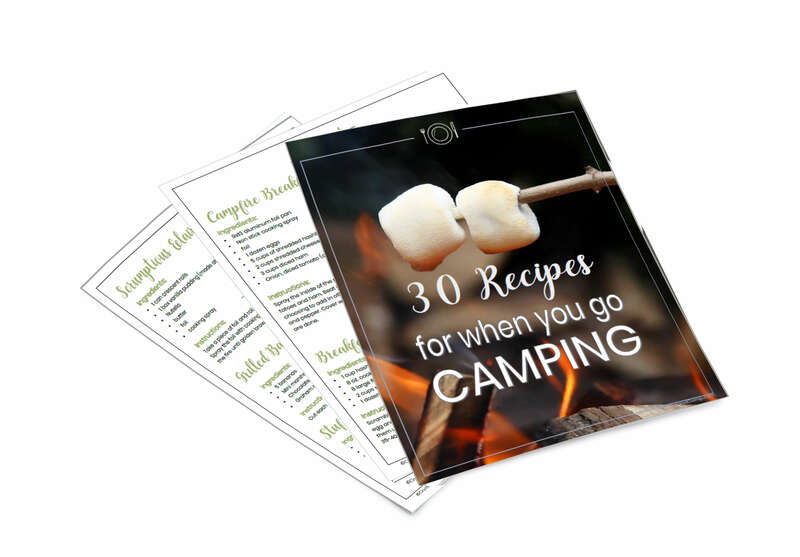 If you are lucky enough to be allowed a fire – or even a BBQ then, of course, you can’t beat smores or just toasted marshmallows and part of our camping food box includes a packet. 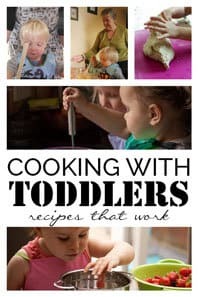 Check out our delicious camping recipes for families to cook for inspiration and ideas from these tried and tested recipes. So the last one on our list – is about the evening. Here’s a fact campsite can be noisy – especially the larger ones that may have groups having parties and reunions, teenagers enjoying being free and connecting and spending time with others their own age and even younger kids staying up past their bedtimes and enjoying the longer days and warmth of the summer sunshine. 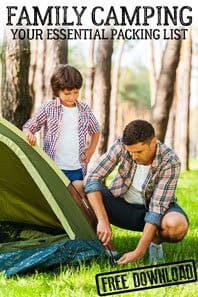 Millets have a complete selection of essentials and more for your family camping trips online and on the high street, from tents to airbeds and storage tables. 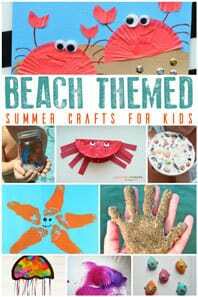 Why not pop over and see how you can make this year’s family camping trip the best one yet and start creating those memories that your kids will cherish for a lifetime. We would love to know how you make your home from home when camping – what stands out for your, what makes it a true camping experience? Why not follow the hashtag #homefromhome this summer and see how others make their camping just that as well as drop a comment below and we’ll see if we can put them together to give first-time family campers some more tips in future posts. We were provided with camping equipment from Millets in exchange for writing this post. 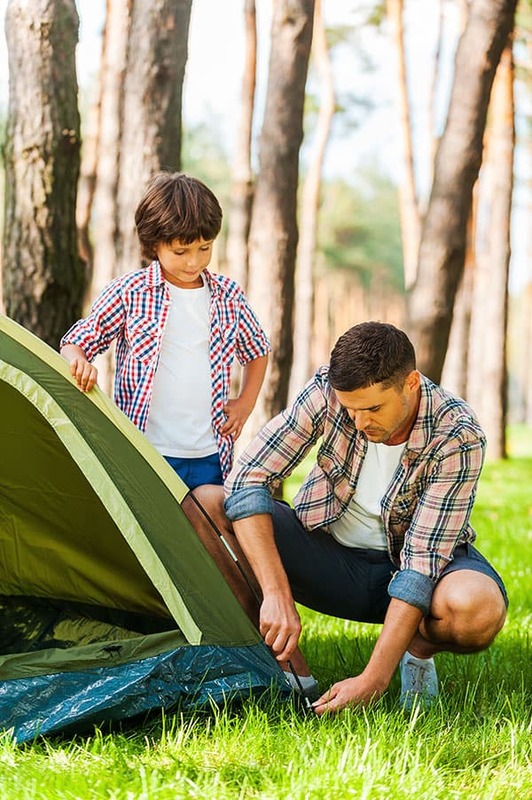 Pin these Top Tips for How to Survive Camping With Kids! We love to use sleeping cots when camping!